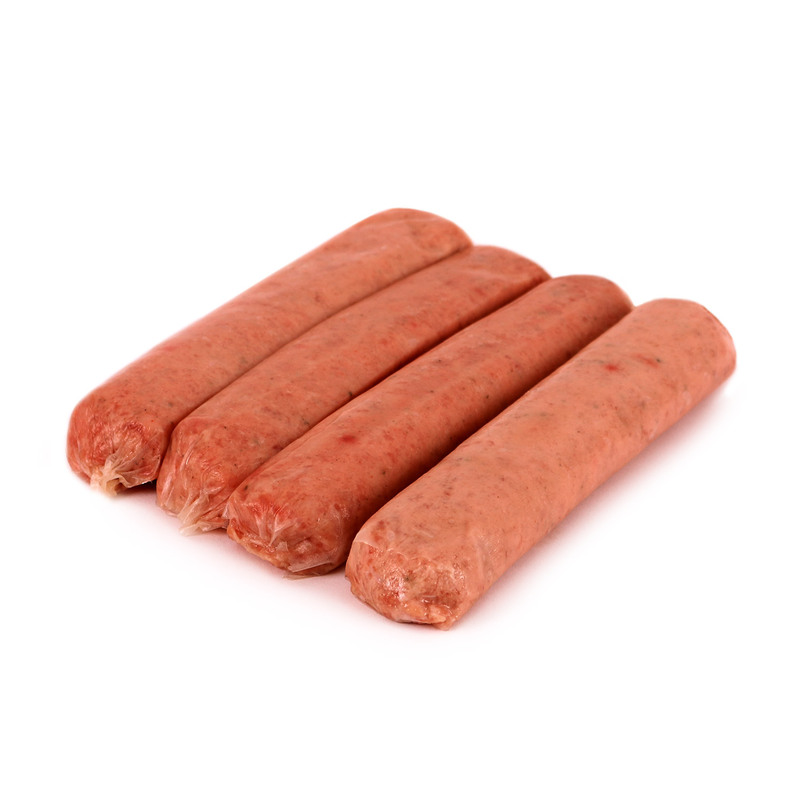 These free-range pork jalapeno bratwursts from Seven Sons farm are supplemented with Non-GMO grains and are not fed antibiotics or hormones. They are perfectly seasoned with garlic, onion, and a combination of jalapeno and bell peppers to add just the right level of heat. No MSG, Nitrites or Gluten! 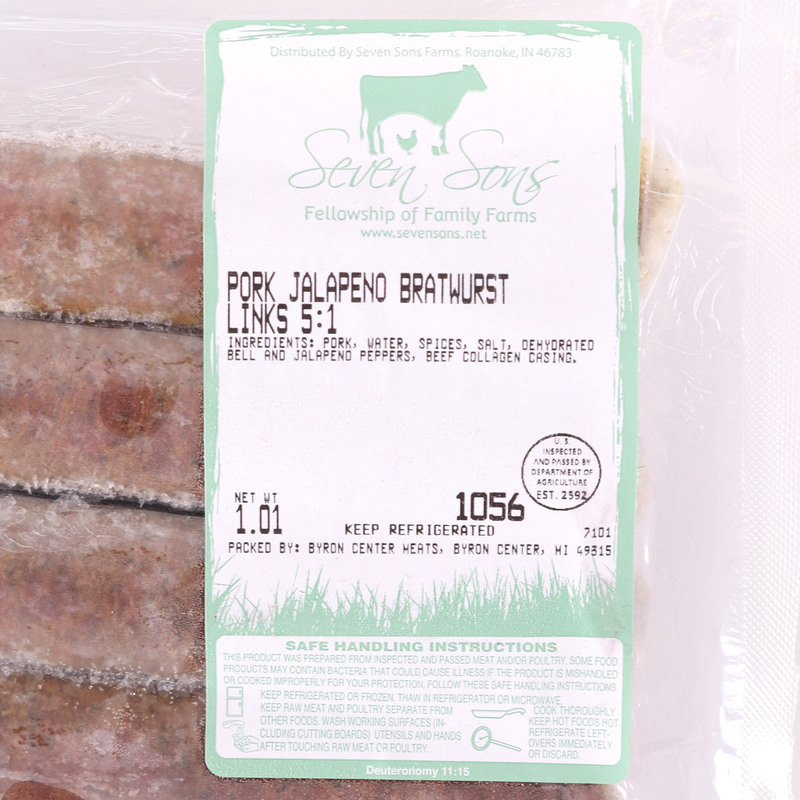 Seven Son’s Farm production practices and protocols apply from the time animals are born or enter their farms until animals are harvested and products are made available for you to purchase. Their mission is to produce nutrient-dense foods that heal and nourish our land and those who eat of its bounty. Pork, water, spices, salt, dehydrated bell and jalapeño peppers, beef collagen casing.